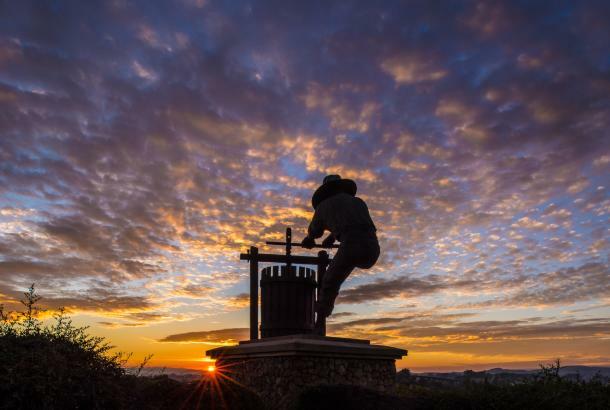 Come discover what&apos;s new in the Napa Valley, including recently opened and upcoming restaurants, wineries, hotels, shops and experiences. The 2017-2019 Napa Art Walk called “Shifting Perspective,” features 10 sculptures from 10 artists in four Western states. The current art featured in Downtown Napa may be seen now through 2019, when the exhibit will rotate. First Street Napa is pleased to announce the opening of the Overland Sheepskin Co. retail store at 1202 First St., home of the historic Beckstoffer Building. The new 2,000-square-foot shop in Downtown Napa carries an extensive collection of sheepskin coats, rugs and slippers, as well as leather jackets and bags, wool coats, cowhides, and accessories. Laces and Limos provides a new and unique Napa Valley tour experience with its fleet of eco-friendly electric Tuk Tuk vehicles, complete with weather protection and heated seats. Packages, which are offered daily, last approximately 3.5 hours, and include up to three wine tasting experiences. Full and half-day private tours are available, as well as customized itineraries for special events and corporate teambuilding. di Rosa Center for Contemporary Art is a catalyst for transformative experiences with contemporary art of Northern California. Part one of the new year-long exhibit, "Be Not Still: Living in Uncertain Times," will open on January 27, 2018. It will be di Rosa’s largest and most ambitious exhibition to date. The nonprofit art center presents dynamic exhibitions and educational programs for all ages and houses the foremost collection of contemporary Bay Area art in the world. A wide range of styles, media, and subject matter provide an overview of the creative energy and freedom to experiment that characterize this region of California. di Rosa features three galleries, a sculpture park, a 35-acre lake, and a wildlife preserve, all located on 217 scenic acres in Napa Valley’s famed Carneros region. The CIA at Copia presents a “Food & Wine Weekend with the CIA” Feb. 16 – 18, 2018. The three-day food and wine experience includes hands-on culinary classes; local wines; an interactive tasting showcase; and a “CIA Chef Best Brunch Battle.” Visit the website for tickets and scheduling. The inaugural Yountville International Short Film Festival (YISFF) debuts Feb. 8 – 11, 2018. Sponsored by the Town of Yountville and its lodging establishments, and inspired by the annual Jessup Cellars Art House Short Film Series, the YISFF features 100 films from more than 24 countries around the globe. Films will be presented in 20 themed blocks over four-days, exploring life stories through world-class short films at three pop-up cinemas. 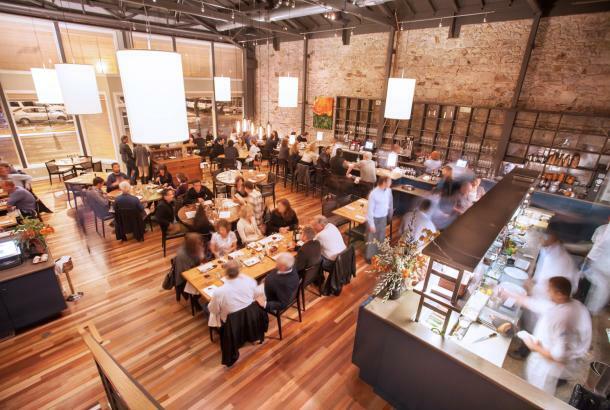 The 2018 Taste Napa Downtown card provides an opportunity to visit 12 downtown Napa tasting rooms, each within walking distance of one another, for half price. The Taste Napa Downtown card is $15, and may be used anytime throughout 2018. Ashes & Diamonds in Napa now offers an elevated food and wine experience. 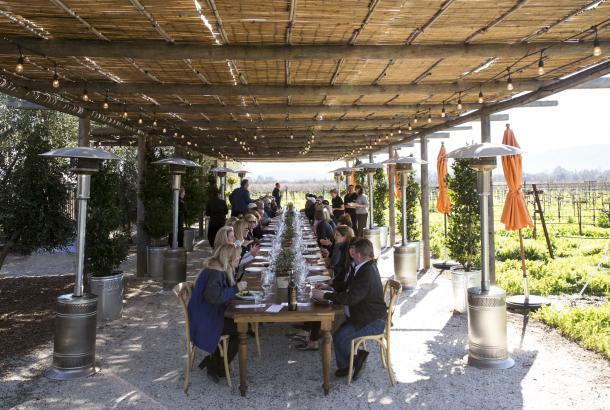 A&D Wines + Food includes a seated, guided tasting of current release wines (Blanc, Cabernet Franc, Vin de Table & Grand Vin) paired with seasonal, locally sourced dishes created by resident chef Emma Sears, prepared in the winery’s wood-fire oven. Boisset Collection’s First Growth Napa Valley Grand Cru Coffee is sourced from the most sought-after coffee farms in the world. Each of Boisset Collection’s rare and exclusive small-batch blends and single-origin coffees are hand-roasted locally. First Growth Napa Valley Grand Cru Coffee is offered at Atelier Fine Foods in Yountville, either packaged as whole beans, or served in its espresso and coffee drinks. A coffee membership is planned for 2018. The by-appointment JCB Salon Privé private salon next door to the JCB Tasting Salon in Yountville, provides focused, guided tasting experiences of JCB wines. Tasting appointments are available for up to eight guests at 11 a.m.; 1; 3; and 5 p.m. with a featured Collector flight that includes JCB Gala Champagne, JCB No. 3 Pinot Noir from Burgundy and Russian River Valley, No. 1 and No. 10 Cabernet Sauvignons and JCB The Surrealist. Additional tasting options are also available with other JCB wines, and there is a private room for larger parties. Burgess Cellars debuts its new tasting salon and seated experience in February 2018. This semi-private tasting takes place in Burgess Cellars’ new Mountainside Room with panoramic vistas of Napa Valley, 1000 feet up on the Howell Mountain hillside. Guests will experience the best of this terroir with six selections from the 45-year Library Program, small production rare wines, and current releases. This experience is 90 minutes is offered twice daily Monday through Saturday. 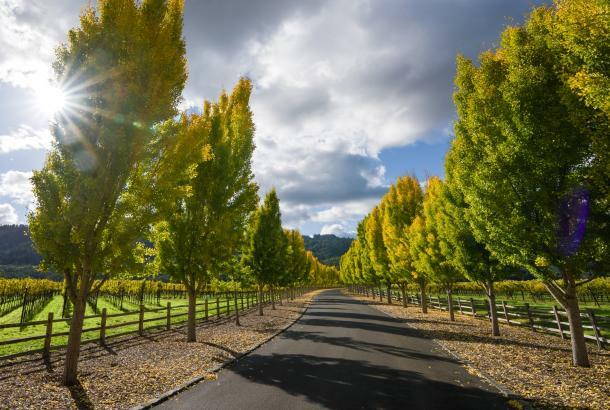 The Clif Family Tour de St. Helena provides a self-guided exploration on a cruiser bike of the many quaint streets in St. Helena, as well as vineyard lanes with views of the valley and the Mayacamas mountain range. The suggested route returns back to Main Street in St. Helena to meander downtown boutiques and restaurants. The ride finishes at the winery with a flight of small production wines and a culinary nosh. 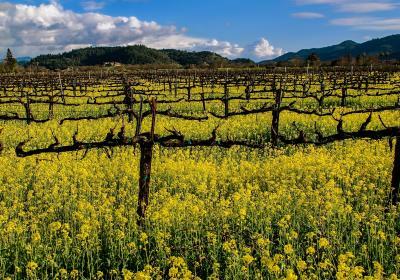 The Tour de St. Helena package is $95 and is available daily by reservation. Far Niente in Oakville now offers exclusive Estate Food and Wine Pairings Tuesdays through Thursdays at 12 noon. Estate Chef Sarah Walz creates seasonal bites to pair with current vintages of Far Niente wines, including Dolce late harvest wine. The Estate Food & Wine Pairings are available by appointment only and are limited to eight guests. 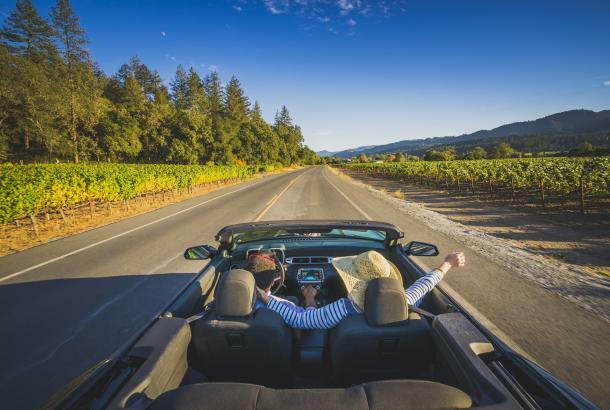 The Crocker & Starr Winery “2 for 1 Vineyard Experience” starts off at the winery’s 1918 restored farmhouse in St. Helena with a sip of Sauvignon Blanc before heading to the vineyard for the opportunity to see and touch the organically grown grapevines. The experience continues to the Garden Arbor & Stone House for a seated presentation of small production estate red wines at tables hand crafted from walnut and oak trees on the Estate. The tour and tasting is approximately 50 minutes, and is regularly $45 per person. The “2 for 1” experience is available through January 2018. Joseph Phelps Vineyards has expanded its culinary offerings for 2018. Led by winery Executive Chef Brian Sutton, the winery’s “Playful Plates” wine and food experience is offered each week on Wednesday, Thursday and Saturday; the multi-course Bountiful Table is offered on Fridays; and a Wine & Cheese pairing is available each Sunday. Culinary offerings are paired with the finest Joseph Phelps wines, including Insignia. Available by appointment only. Vista Collina Resort in Napa, across from the Meritage Resort & Spa, is projected to open Summer 2018, will feature 145 guestrooms, including 39 luxury suites. Adjacent to Vista Collina is the Village, with nine tasting rooms featuring boutique wineries in Napa Valley, as well as a robust calendar of events to include monthly neighborhood markets, live concerts on the 16,000-square-foot Village Lawn and demonstration and hands-on cooking classes in the professional Food & Wine Center. The Ink House is now open in St. Helena. This historic Napa Valley home originally built in 1885 by Napa Valley pioneer Theron Ink is listed on the National Register of Historic Places and has been beautifully restored, with a sophisticated, modern twist, by the Castellucci family. The Ink House is a four-bedroom boutique luxury inn that provides personalized experiences coupled with warm Italian hospitality in an intimate atmosphere. 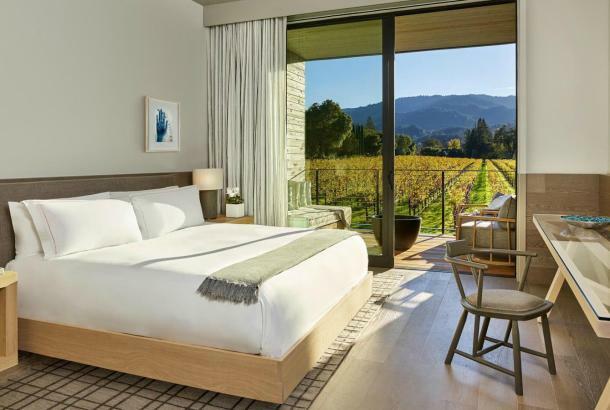 Opened originally in 1975, Wine Country Inn, the boutique Napa Valley retreat located in the heart of St. Helena, will finish the second and final phase of the property’s renovations in mid-February 2018. Upon completion, the Kokua Hospitality, LLC-managed property will unveil ten refurbished guestrooms and suites with upgraded high-speed fiber optic Wi-Fi, refrigerators, and 44” flat screen HD televisions. These upgrades mirror the enhancements completed within the property’s Winery House building guestrooms and public spaces during phase one, which concluded in early 2017. Eighty percent of the Inn’s rooms offer views of the vineyards that surround the sprawling grounds and outdoor heated pool and Jacuzzi. The Francis House in Calistoga is slated to open in the late spring of 2018. Initially a family home for prominent local merchant, James H. Francis, The Francis House is a landmark building steeped in history and prestige. Built in 1886, The Francis House is listed in the National Register of Historic Places and is now being carefully restored, rehabilitated and redesigned as an exclusive five-room luxury inn.